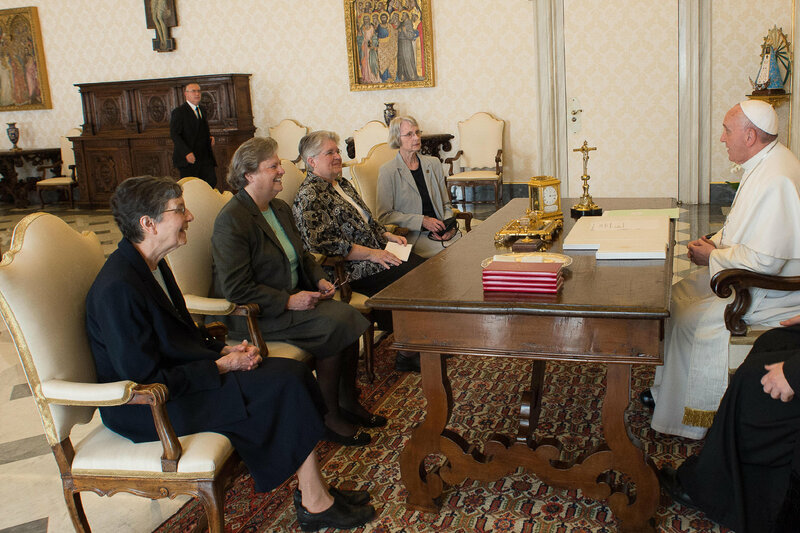 In a fitting punctuation to the celebration of the Year of Consecrated Life, the investigation of the Leadership Conference of Women Religious (LCWR) by the Vatican’s Congregation for the Doctrine of the Faith (CDF) was concluded on April 16, 2015, with the issuance of a final report and joint press release. The LCWR is a leadership group that represents 80% of nuns in the U.S.
Four LCWR sisters met with Pope Francis later the same day. Vatican Announcement 4-16-2015 > click here. NPR coverage > click here. National Catholic Reporter coverage > click here. A previous Vatican investigation of U.S. women religious was concluded in December 2014 > click here. This entry was posted in Uncategorized on April 19, 2015 by shvmblog.